KOTA KINABALU: TheInfrastructure Development Ministry through the Sabah Railways Department is in the process of preparing the terms of reference (TOR) and initial study on routes to implement the proposal for 175km railway track from Kota Kinabalu to Kudat. Its minister, Datuk Peter Anthony, said the tender to implement TOR and initial study for the route was expected to be completed by year-end. “The State Government has approved RM1.5 million allocation as an initial funding for the study that will start next year. 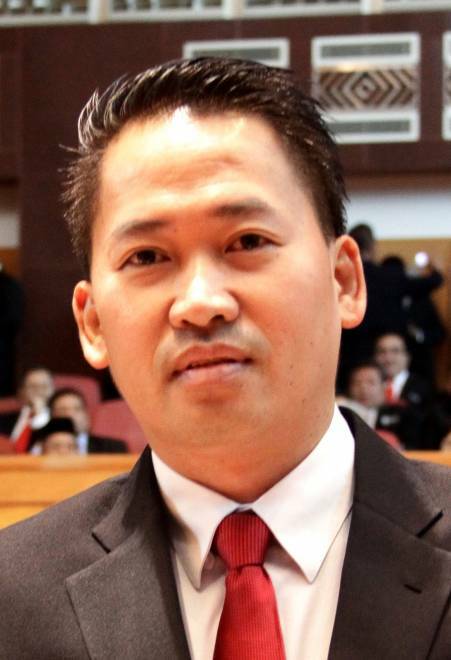 “Based on the study, physical works such as land acquisition and transfer of utilities are expected to start in 2021, and completed by 2024,” he said in the State Assembly sitting yesterday, in response to Datuk Hajiji Noor (Bersatu-Sulaman) who wanted to know about the development of the project. Peter added the Sabah Railways Department was looking forward to a better quality train service especially in the existing trains, at least at par with trains in Peninsular Malaysia. In reply to an additional question from Tan Sri Musa Aman (Umno-Sungai Sibuga) who wanted to know who would be financing the new railway project as it required a huge expenditure, Peter said the state government was considering a few options such as financing from the State Government or federal grant, or soft loan or participation of the private sector. The cost of the project is estimated to be RM5.2 billion. If the cost of railway tracks in the peninsula can reach tens of billions, I believe Sabah can implement it, and I know this project is very much anticipated by the people in Kudat, Kota Marudu and even Pitas because this would facilitate transporting of agricultural produce to Kota Kinabalu,” he said. Study on proposed RM5.2 bln KK-Kudat railway routes Borneo Post Online.